A pleasant and responsive duel over the Internet for a month or half is sufficient enough to boost the traffic to your blog. Often do you find a number of drafts lying on your blog dashboard but the nearly no-traffic to your domain somehow discourages you to publish the same. And the Facebook page of your blog, even after those repeated invites to those ostensible friends goes simply overlooked. But do not be disappointed my friend, there are more ways Facebook can bring you traffic than just invites. And trust me these platforms not only gives a boost to your traffic but also provides you insights on SEO, keywords, authority and alexa. So if despite your sharing on platforms like pinterest and tumblr or even twitter (which equally lacked followers for the newbies), your blog still lacks the magic spell to make its mark on the search engine, join Travel bloggers club, an initiative by Eliza French who owns the blog of Digital Travel Guru. And here’s the best part, this September Eliza from Digital Travel Guru and Katie O'Donoghue from Creative Travel Guide jointly arranged a challenge known as TBC 14/30 challenge where each member would publish a post for either 14 or 30 days of the month and provide the link in the group. The members would have to exchange views and shares. This not only makes you realize your own limits but also provides that push to publish your long list of drafts. Remember how Nick Fury gave that “Push” to Rogers and Stark in Avengers? This is just the same. This is a preview of how it affected my traffic, and adding to the top of it, my blog reached a global platform all of a sudden. Previously it was only India (all thanks to IndiBlogger), now most of the readers are from India and USA and other countries as well. The participants of this challenge were from all over the world, from different parts and I got to have a virtual visit through each of the article shared in the challenge, the colourful vibrant pictures literally took me to the places. All of them participated in between their hectic schedules and also reciprocated each other’s efforts. It was not mandatory to post on all day but as per the ease. But every effort was counted important and was respected. Here are some testimonials from the members participating in the challenge. This challenge is a great activity to do with fellow members of Travel Bloggers Club. We have done this challenge on previous occasions, each time with great results. This challenge I’ve managed to clear a backlog of posts and it has kept me motivated to post each day. After 14 days my social media following has increased and so has my site traffic. Thank you everyone who has joined the challenge and participated. I have managed to get posts out but have really found the social side of it difficult to keep up with. Posts get written and scheduled but interaction is hit and miss as everyone posts at different times and I'm not sure if I have got everyone! 14 days of my photography, now to focus for 14 days on my old and unloved blog and see if I can resurrect it! I did an 8 day challenge instead. (Instead of 14 days so I improvise by changing the day count) I had a lot of fun doing this but I been so busy that I had to give up some. I have yet to comment and share all the blogs but I will definitely do so. It was a fun challenge. Now my blog is almost all updated with my travel journey. 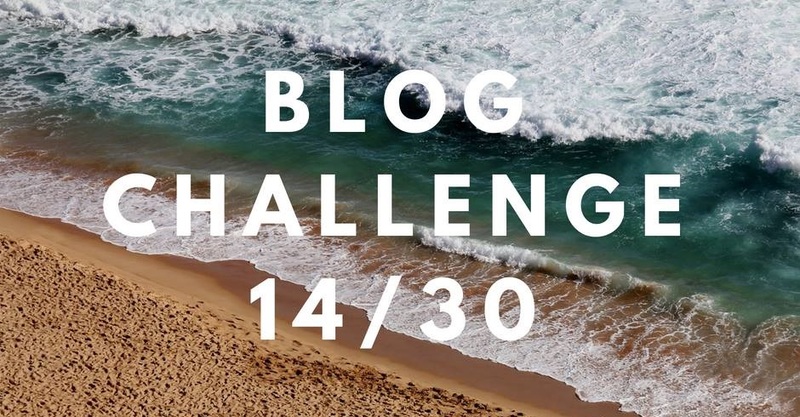 I have found that this challenge has pushed me to write every day and has helped me think more about what my readers want to read rather than just what I want to write. This is a really fun challenge that I make it. unfortunately, this month is a busy month on my work but I try to keep every day to write my post until I did a 9-day challenge. and of course, I meeting so many new friends like you.i still looking for the next challenge and learn more new things about the blog. It was fun and proved to be a motivation to complete drafts and also think up new ideas. It was fun to interact with so many other travel bloggers and read their content. I faced a problem of keeping up with the commenting and sharing of blogs. I moved to a different country halfway through the challenge so managing to write and post daily proved to be tough. I ended up compromising on interactions. Overall it was fun! Other members are Tasha Haley from Apex Forestry and Meldrums on the Move, Nohora Marcela Bruni from Altervista, Stephanie Cunningham from Adventures in Aussieland, Eliza French from Digital Travel Guru, Sam Ann from Travel With The Muses, Kirsty Brown from Kirsty Through the Looking Glass and Alex Trembath from Career Gappers. So never be disheartened by less traffic, find your own way and keep blogging.